The Spa at The Taj Mahal Hotel, New Delhi is spread across 5,940 sq ft with 2 single treatment rooms and 2 couple room, offering a wide range of therapies and a holistic offering of service making it the perfect abode to relax and rejuvenate. One of the most distinguished addresses in the national capital, The Taj Mahal Hotel has graceful architecture that blends aesthetically well with modern facilities and world renowned service. As a luxury hotel with over three decades of legendary standard of service and rich legacy, The Taj Mahal Hotel has constantly evolved and innovate its holistic offerings and services. “The Spa at The Taj Mahal Hotel, Delhi offers several rejuvenating experiences that are tailored to each guest's discerning requirements. We take extreme care in ensuring that each of our therapy is natural and hence use natural products only. For those truly looking for an exotic therapy to relax their spirit and soul, our special therapies like Ultimate Indulgence and Journey of the senses have stood the test of time and we often find guests booking in advance for these therapies to renew the senses and relax the mind,” said Charu Lal, Manager at The Spa, The Taj Mahal Hotel, New Delhi. The Spa has been designed keeping the overall design philosophy of the hotel property in mind. The design layout of The Spa is minimalistic and the idea behind that is to keep away from the clutter and the noise of the outside world, reason enough to lure guests towards The Spa, which gives a relaxing, rejuvenating experience to the disconnect with the monotony of the day at least for a dedicated set of hours. As far as the furniture of The Spa is concerned, we try to keep it as minimalistic and elegant as possible. Oakwood beds are used to ensure complete comfort, strength, an attractive finish and durability to complete the picture. There can be nothing more classic than an evergreen wooden selection of furniture to give the ambience a polished visual appeal. The ambience of the spa definitely plays an integral role in the extension of the comfort and recreation, one received from a spa treatment. The salon is equipped with furniture by Takara Belmont. The Spa at the Taj Mahal Hotel offers a complete bouquet of re-energizing and revitalizing therapies to help patrons unwind after a long day. The Spa has 2 single treatment rooms, 2 couple rooms, a beauty salon for ladies, a barber shop for gentlemen, state-of-the-art multi-station equipment by Techno-Gym, sauna, Jacuzzi, steam baths as well as facilities for swimming and yoga (available on request only). The Spa at the Taj Mahal Hotel serves as the perfect getaway for patrons looking for some pampering and rejuvenation time off their hectic schedules. The mood and ambience of the spa is relaxing and hence the lighting is kept dim. Use of bright lights and chandeliers has been avoided in a bid to give a tranquil and meditative environment. 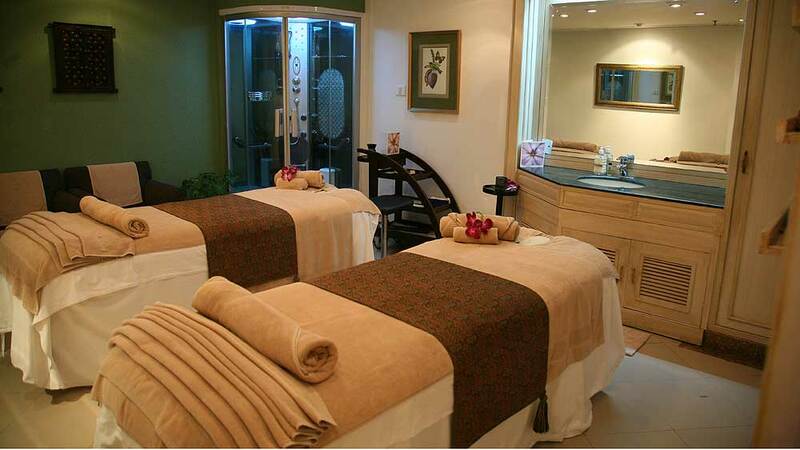 The soft lighting and soothing therapies provide a perfect combination of relaxing spa time. Marked with simplicity, flooring of the corridor at The Spa is crafted with marble with subtle geometrical designs whereas the treatment rooms have basic tile flooring in earthy colour tone. The tiles have been carefully chosen to ensure slip and scratch resistant characteristics. At The Spa, all are natural indigenous products, sourced exclusively from Indian herbs, salt and pure essential oils, to renew the senses and relax the mind. The spa uses therapy or massage oils from Forest Essentials brand. For facial treatments, therapy products from Phytomer, a leading French brand are being used while for body treatments, products by Arcania from the United Kingdom are used. The salon uses products by L'Oréal, Wella and Moroccan Oil. Wearable technology boom in fitness biz..